Product recalls are a nightmare for manufacturers of safety equipment. At some point, no matter how stringent the quality control or testing procedures, most manufacturers have issued a recall notice. Safety equipment is used for work and leisure pursuits. A recall or product warning is as much a headache for organisations that use the kit for staff and customers or sell climbing, hiking and rope access gear to the general public. Right now, Black Diamond, a world-leading climbing, skiing, hiking and outdoor fashion brand has five recall notices active. We’ve published more information about this and are urging Papertrail customers to get in contact using the big green button if they need help to identify potentially faulty kit. Petzl, another global, well-respected safety equipment manufacturer, currently has four active alerts. DMM Climbing issued a notice in September 2015 that could affect 120,000 carabiners. No one takes safety more seriously than manufacturers. Issuing product recalls is almost always done proactively before any accidents occur or lives are put in danger. The Thing Is, Product Recalls are Ineffective. Safety notices are currently the only way to alert the public, equipment distributors, activity centres and retailers about potential risks with products. They are usually published online, shared through social media, before the distributor picks up this information and shares it with their customers and audience. Understandably, when we are talking about millions of pieces of kit across dozens of countries, this information won’t reach everyone who could be affected. It simply isn’t possible. How often, after buying something, do you check the manufacturer’s website? Or even the store you bought it from? Retailers with a multi-channel presence have a much better chance of reaching most people affected by recall notices, but still: not everyone will hear about these alerts. It is virtually impossible for manufacturers of any product, including safety equipment manufacturers, to have direct contact with each and every customer. We are working to change this disconnect between manufacturers and customers. In customer accounts, there are millions of pieces of kit stored. We’ve made this easy since it was one of the reasons we designed Papertrail: to make kit inspections easier. Between RFID tagging, camera uploads and barcode scanning, it only takes a few clicks to store your entire safety inventory in your account. This gives you two ways to check if you’re affected by a recall notice. Login as soon as you hear about a product or manufacturer issuing an alert. Alternately, we will start issuing proactive warnings, once we are notified, to ensure our customers are aware of a potential problem with kit straight away. We are also working with manufacturers and partners DMM to get inventories pre-loaded into Papertrail, to make it even easier in the future to check kit for product recall notices. We urge all safety equipment manufacturers: get in touch with us! We want to help you help your customers stay safe. Join our partner programme here. 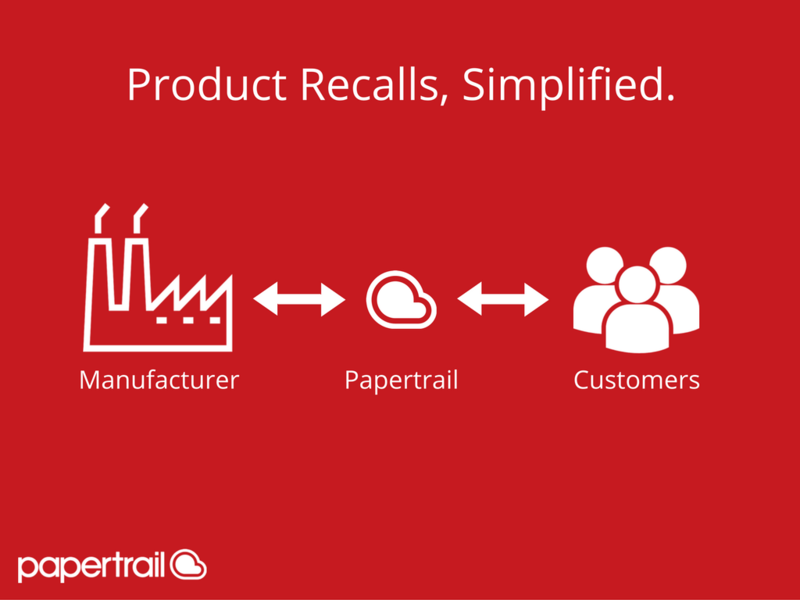 Papertrail customers: Concerned you may have missed a recall notice? Contact us today through the big green button below, our dedicated team is happy to help.